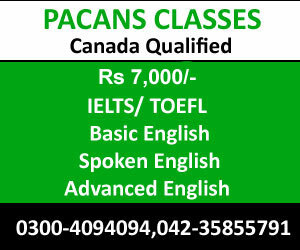 Pacans Next course for IELTS-TOEFL-GRE-GMAT-GAT-ACT- SAT-SAT 2-ENGLISH-OET-PTE starting this Monday. 042-35855791 or 0300-4094094. Enroll now!